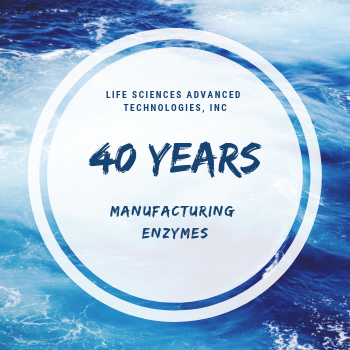 AMV Reverse Transcriptase (Standard Grade) synthesizes cDNA from single stranded RNA. 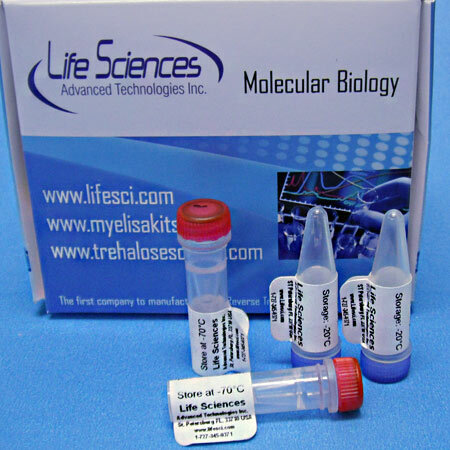 The standard concentration is 20 units/µL and the specific activity is 40,000-50,000 units per mg. 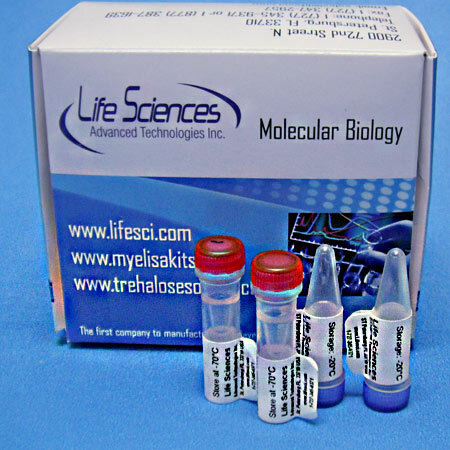 It is qualified for cDNA synthesis and RT-PCR. 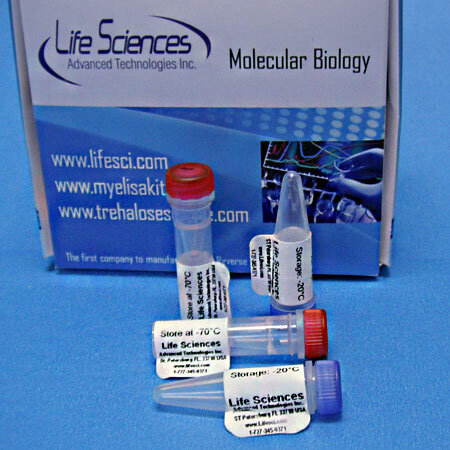 AMV RT is also available in Trehalose storage buffer (suitable for lyophilization). 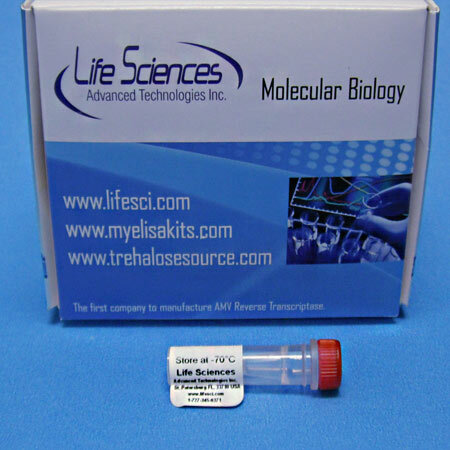 We provide 1ml Reaction Buffer Concentrate for AMV Reverse Transcriptase in Glycerol.